Well, this book definitely strayed from the familiar movie version I had in mind. I guess that shouldn’t surprise me since I did see “Saving Mr. Banks” and have read about P.L. Travers’ aversion to the actual film. But, that didn’t keep it from being a fun read. Mary is definitely much sterner in the book, but she’s got a lot more magic up her sleeve as well. 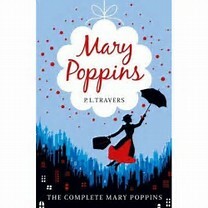 This book is more a collection of stories than one long tale. Some stories we liked better than others, but all in all, a charming read and would definitely recommend for early elementary kids. My daughter did like it much better than my son, he mainly hung around because he can’t stand to miss out. I think he also didn’t like that it was different from the movie. He likes to know what he’s getting. OBVIOUSLY. This is practically a rite of passage, right?! I mean, maybe not these days… kids probably have an app that’s cooler, but really, this story is just the best. 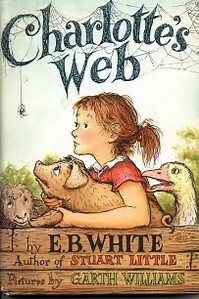 Now that I think about it, THIS was the actual first book I read aloud, but it was so long ago that I’m almost certain my daughter was only in kindergarten, so my son would not have been participating. She loved it and by the end we were both crying as Charlotte says goodbye to Wilbur. (My husband was actually sitting around the corner listening and I’m pretty certain he teared up, too. Not that he would admit it to you if you asked.) I think any age would appreciate this story. It’s precious. 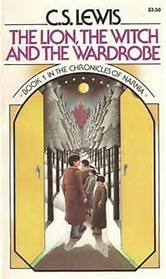 Okay, we set out to read the entire Chronicles of Narnia. We started with The Magician’s Nephew because that is the true first book. Surprisingly, the kids stayed fully invested in it! And it is NOT the easiest of the series. I put LW&W on this list because it’s just more of an all-around crowd pleaser, which is obvious since it’s the most popular. You can really read any of the Chronicles independently, but together as a whole they are pure magic. For any age. But reading these with my kids was so much fun. Right. So obviously this isn’t a chapter book. But this is my son’s favorite book for me to read out of. 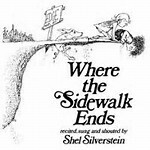 And it’s Shel freakin’ Silverstein. SO, it deserves recognition on every level. It’s hilarious, it’s gross, it’s cute, it’s irreverent, it’s charming… And anything I can get my son to sit and read with me is a huge win. We also own Everything On It, and we’ve checked out The Light in the Attic from the library. They are all spectacular. If your kids have a hard time focusing on chapter books, this is a perfect substitute. Allright fine. WE haven’t read this one beginning to end. I have. And they’ve listened to it as they’ve gone to sleep, but it doesn’t count because it just started over each night because they never changed out the CDs. But, I’m itching to read it to them, and then follow up with the other books in the series. It’s great for all ages, but probably geared for older elementary. It’s centered around children essentially becoming heroes and I’m all about that. It’s clever, original, charming and funny. Your kids will love it. I guess if it has a downside, it’s just pretty long. But it kicks right off, without too much buildup, so that helps. If you end up taking some or even one of my suggestions, I’d love to hear about it! I’d also love to hear about what you and your children have read together.